Iranian women have been a driving force and central focus of the deadly, week-long protests sweeping cities across the Islamic Republic of Iran in opposition to the regime. They have marched through the streets of Iran calling for greater freedom and the ability to chose for themselves how to live their lives, down to the most basic right to choose how they dress. 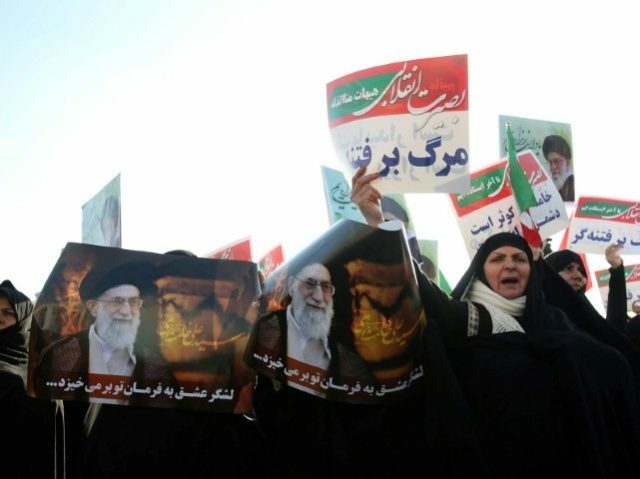 One Kurdish girl reportedly wrote, “Death to Dictator,” referring to Iran’s Supreme Leader Ayatollah Ali Khamenei on a wall in the Iranian city of Ilam. Yet as women throughout Iran remove their hijabs to protest against the oppression they face under their nation’s Islamic regime—and others keep them on during their united marches throughout several major cities—progressive groups that claim to fight for the mantle of women’s empowerment have remained mum. In fact, as women in Iran are shedding their hijabs, progressive women in the United States have continued to hold these hijabs up as a symbol of empowerment and feminism. Some may recall how in 1979, shortly after the hijab was made compulsory, crowds of women gathered in the streets to protest against the mandate. Iranian women are continuously denied basic fundamental rights and are treated as second-class citizens in the Islamic Republic of Iran, which has operated off of Sharia law since the 1979 overthrow of the Pahlavi dynasty. Women are barred from entering sports stadiums. They have even been barred from participating in marathons. Women face harassment and even arrest for not wearing their hijabs properly. In December, Iranian authorities reportedly said women who break Islamic teachings by wearing nail polish or heavy make-up and wearing headscarves loosely around their heads will be sent to police-run classes on “Islamic values” instead of prison. A woman’s testimony in court legally holds half the weight and worth of that of a man’s. Married Iranian women who hold passports require permission from their husbands to leave Iran. Unmarried Iranian women require permission from their fathers to travel abroad. Iranian men are allowed to travel in and out of the country freely. Many on the left, those party to the Women’s March, and members of the so-called “Me Too” movement—which was born from sexual harassment allegations against men—have yet to raise their voices in support of these valiant women. Iranian women have complained about sexual harassment and assault in bus stops, the train, in the streets and at work. In November, Yeganeh Rezaian, the wife of formerly imprisoned Washington Post reporter Jason Rezaian, wrote an article about the movement’s traction in Iran. Despite being deemed Time magazine’s “Person of the Year,” there has been a deafening silence from the women in the movement. This begs the question, where is the “Me Too” movement now?